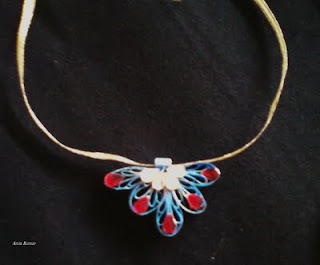 Paper Quilling is fun and very beautiful. Its difficult to believe that narrow paper strips can be so decorative ! I discovered quilling sometime back and now I am hooked . Quilled jewellery is quite sturdy and gorgeous. The possibilities are endless if one decides to be creative with quilling.